Can Chicago Become the World Center for Blockchain Development? When you talk about blockchain communities in the U.S., a few places come to mind: Silicon Valley, New York, Boston, Austin. But what about Chicago? 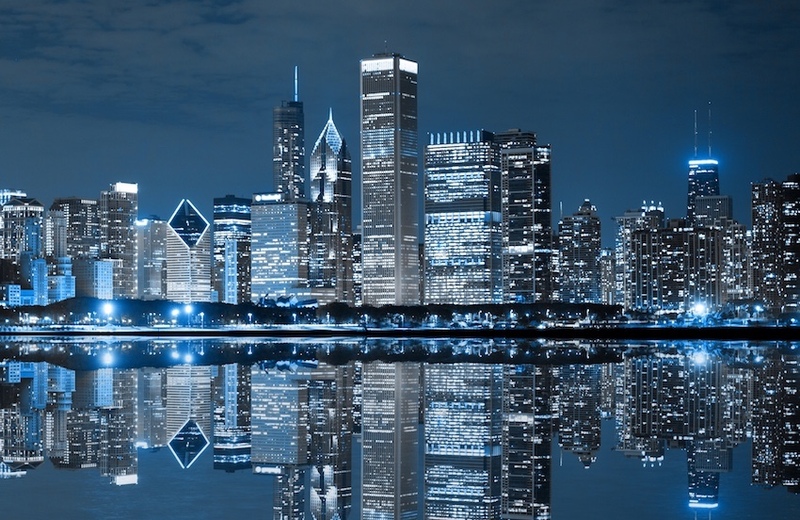 While some groups, like the Chicago Blockchain Center and the Chicago Blockchain Project (CBP), have been making considerable strides in the city, there is still much progress that can be made if Chicago is going to take the blockchain crown. To that end, CBP has taken advantage of its headquarters in Chicago’s 1871 incubator space, which has 1,500 members and has seeded more than 500 companies in the city’s massive Merchandise Mart. The ecosystem of college programs, developers, venture capitalists and startups works in a collaborative workspace to learn and support the blockchain community. CBP also taps the growing local tech Meetup community. Despite the fierce global competition for capital and talent, CBP’s growth has been impressive. Founded in May of last year, the group has grown to 2,200 members, according to Alla Adam, a co-founder. One venture, for example, gives builders equity for rehabbing homes. He discovered blockchain technology through his interest in Ethereum and Bitcoin. While Chicago has a burgeoning tech community in its former meatpacking district (anchored by a Google satellite office) and thriving business incubator network, of which 1871 is the hub, it faces long odds on usurping the blockchain title from other leading cities. Chicago is ranked fourth in this regard by Forbes, and it was found to employ fewer than 200 people. New York is the leader, with more than 1,300 blockchain job openings. Although Chicago is home to a vibrant group of corporate headquarters, venture capital and angel investing community, big money for startups tends to gravitate to the coasts. The recent $65 million funding of blockchain and crypto startup Paxos, formerly itBit, was raised by New York-based venture capital firms. What makes CBP founders optimistic? Because Chicago tends to fly under the radar in the tech world, it has a chance to be a surprising upstart. “San Francisco and New York are overheated,” said Adam. She noted that Chicago provides a robust ecosystem of colleges, incubators and talent. “Investors want the ecosystem,” she said. That ecosystem, based on recent developments, is growing fast. Facebook recently announced that it is expanding its workforce in Chicago along with Google, which has its Midwest headquarters on the city’s near-West side. The Obama Presidential Center is slated to open on Chicago’s South Side in 2021. And the city is still a candidate for the Amazon 2.0 headquarters. Chicago blockchain developers are also gaining support from the Illinois Blockchain Initiative, a state-sponsored agency, and the Chicago Blockchain Center, which is also partnering with the CME Group, one of the world’s largest derivatives exchanges, and other city-based blockchain enterprises.